Telecommunications is the ability to communicate at a distance. Whilst you could always physically transport a message from one place to another using a messenger – the marathon runner, or by stagecoach or ship – the goal was to find a means of communicating in which you could send the message without having to also send the messenger. The earliest forms of communication relied upon sending visual or audible signals from one point to another. For example, the use of fire to generate smoke signals or drums to generate sounds. The Romans developed a sophisticated ‘fire telegraph’ in which a set of flaming torches could be used to indicate different letters of the alphabet and hence make up a message. In 1588 the impending arrival of the Spanish Armada was communicated to Queen Elizabeth I by a series of fire beacons stretching from the south coast to London. As each beacon was lit so the next in the chain would see the flames and light their beacon and so on. Many locations in the UK still carry names such as “beacon hill” reflecting the fact that they were once used as a fire beacon site. Indeed, despite the great improvements in communications, even in the Second World War, the sounding of church bells was designated to signal a German invasion of England. A very successful early communication system was the development of semaphore flags. Here a ‘flagman’ or ‘signalman’ holds two square semaphore flags divided on the diagonal into a red and yellow section. Letters, numbers and symbols are represented by different positions of the two flags. Providing you could see the other person then messages could be sent by spelling out each letter. To improve the efficiency and hence, speed of the communication system, ways were needed to send coded information. Here, instead of a particular combination of flags representing a single letter, they could represent a codeword which in turn might spell a whole word or phrase. This led to the development of the signal flag. A series of signal flags were devised in which each flag comprised a distinctive pattern and set of colours. Within the British Admiralty a set of signal flags was devised in 1800 by Rear Admiral Sir Home Popham and became known as the “Telegraphic Signals of Marine Vocabulary”. Here the digits 0 to 9 were represented by ten different flags. In combination, these flags represented a code number which was assigned a meaning within a coded book. Famously, Admiral Nelson aboard HMS Victory used this code during the Battle of Trafalgar in 1805 to send the message “England expects that every man will do his duty”. Unfortunately the word ‘duty’ was not in the code book and so had to be spelled out separately. Signal flags are still in use today by ships at sea and are defined as the International Signal Flags. In addition to the representation of letters, each also has a special meaning. For example, the letter A flag when used on its own means ‘I have a diver below’ and the letter G flag means ‘I need a pilot’ and the letter P flag, also known as the Blue Peter, signals that everybody should get aboard for the ship is about to sail. We are grateful to Mrs Doreen Parsons who very kindly made us two sets of semaphore flags which see regular use at our Family Telecommunications Days. This bunting comprises miniature versions of The International Signal Flags. Using the same principles as the semaphore flags, mechanical telegraphs could communicate a message by using a mechanical system of moving arms to create different shapes. These mechanical systems could be made very large hence, making them easier to see, especially with the aid of a telescope, and thus allowed for messages to be sent over greater distances. A Frenchman, Claude Chappe, in 1792 invented a communication system that grew to become the world’s first country wide network. His mechanical telegraph comprised three interconnected arms that were placed high up on a tower. These arms could be positioned in a number of ways with each combination either representing a letter or a code that could be looked up within a code book to reveal a more complex message. The French national network based upon the Chappe mechanical telegraph grew to cover a distance of 2,983 miles using 556 telegraph stations. Messages could be sent from Paris to Lille in 2 minutes and from Paris to Calais in less than 5 minutes. The British Admiralty developed an equivalent system based on the design presented by Reverend Lord George Murray. This consisted of 6 shutters, arranged as two columns of 3 shutters each measuring a total of 20 feet high. By opening and closing these shutters a total of 64 unique combinations could be produced. A distant station could then read the shutter combination by means of a telescope, providing, of course, there was good visibility. The Portsmouth Shutter Telegraph line became operational in 1796 with 10 telegraph stations connecting Portsmouth to Whitehall. Messages could be sent along the line in about seven and a half minutes. This model of a Claude Chappe mechanical telegraph illustrates the basic design of a telegraph station. A TOWER was placed on top of a hill or tall building and had the following main component parts. The SUPPORT COLUMN which was made of iron and was typically 15 – 30 feet high. The CROSSPIECE (also called a REGULATOR ) was connected to the top of the SUPPORT COLUMN half along its length and was moveable. Typically made from wood it was 14 feet by 13 inches by 1.5 inches. The INDICATOR, of which there were two with each attached to either end of the REGULATOR, were often made from brass grating to reduce wind resistance and were extended using steel rods and lead weights to provide a counter balance. These were typically 6 feet by 12 inches by 1 inch. A complex system of pulleys was used to adjust the position of the REGULATOR and the INDICATORS to form varied positions or shapes. The various patterns (shapes) formed were used to indicate letters, numbers or coded information. The positions were viewed from an adjacent TOWER – using a telescope if required – and the shapes noted, and if required, repeated for viewing by a further TOWER. The major problem with semaphore and mechanical telegraph systems is that they rely upon the people communicating being able to see one another. This means that the systems cannot work in poor weather, at night or where there are obstacles in the way. Up until the early 1800s the main driving force behind the development of communication systems had been the military. However, the creation of the Stockton to Darlington Railway in 1825 and the Liverpool to Manchester Railway in 1830 brought about a change that would see business, not the military, now drive forward the next generation of communications system. The problem with railways was that you needed an effective means of knowing where the trains were and controlling access to single line tracks. But railways by their very nature contain curves, are often hidden in cuttings and require trains to pass through tunnels; all of which make semaphore and mechanical signalling difficult. Equally, the railways wanted to work at night and in all weathers. Therefore, if the railways were to expand and realise their true commercial potential, so a new form of communication system was required. On the 25th July 1837 two Englishmen, Charles Wheatstone and William Cooke demonstrated such a system. Charles Wheatstone was born in 1802 in Barnwood, Gloucester. His father was a maker of musical instruments and in 1823 Charles and his brother took over his uncle’s music shop at 436 Strand. Throughout his early life Charles had developed a keen experimental bent and in 1834, at the very young age of 32, became Professor of experimental physics at King’s College, University of London. William Fothergill Cooke was born in 1806 in Ealing, Middlesex. His father was a surgeon and Professor of anatomy at the University of Durham. William became adept at producing wax models of anatomical dissections and whilst travelling in Switzerland in 1836 witnessed an electro-telegraphic experiment by Professor Muncke of Heidelberg who was demonstrating a Schilling apparatus. Cooke saw the business potential that such a system offered to solve problems being encountered in the new railways but despite several attempts failed to turn his vision into a practical reality. In February 1837 he was introduced to Charles Wheatstone in London who, he discovered, had similarly been working on the development of an electrical telegraph. So started a partnership that was always tense but that would produce the world’s first practical, working, electrical communication telegraph. Wheatstone and Cooke exploited the relatively new discovery by Michael Faraday of electro-magnetism. Faraday had demonstrated that an electrical current flowing through a coil of wire generates a magnetic field. Similarly a magnet moving within a coil of wire generates electricity. Wheatstone and Cooke used these ideas to devise a system whereby electricity sent down a wire passes through a coil at the far end. The magnetic field generated in the coil then moves a magnetised compass needle. If the flow of electricity is reversed then so too the magnetic field in the coil is reversed and hence, the compass needle is deflected in the opposite direction. In this way, the direction of electric current flow can be made to move a needle to the left or right. Using this basic principle, Wheatstone and Cooke constructed an instrument comprised 20 letters arranged in a diamond shape. Five moving magnetised needles placed along the centre line of the diamond could be deflected left or right depending upon the polarity of a voltage applied to a nearby coil (one per needle). Hence, moving two needles allowed one of 20 letters to be indicated. This is known as a direct reading telegraph in the sense that the output shows the letter being sent. However, the design of this instrument did mean that the letters, C, J, Q, U, X and Z could not be transmitted and in addition, five signal lines and one common (six in total) were required to carry the electricity. The restrictions on the useable alphabet and the practical limitations of having to supply six electrical conductors meant that the five needle telegraph would not be widely adopted but it achieved the significant point of demonstrating that sending messages using electricity was a real practical possibility. And so it was on 25th July 1837 that with Wheatstone at Euston and Cooke at Camden Town, two stations approximately 20 miles apart on the London and Birmingham Railway, messages were successfully sent and received using the electrical telegraph. The electrical telegraph within the UK was first formally adopted in 1839 by the Great Western Railway. A 13 mile section of telegraph was installed between Paddington and West Drayton at a cost of £3,270. This working model demonstrates the operation of a Wheatstone-Cooke Four Needle Telegraph. Following the successful demonstration of their five needle telegraph system of 1837, this was an immediate improvement, reducing the number of needles and hence, the number of electrical conductors required. The reduction in needles was achieved by allowing letters to be indicated either by the movement of one or two needles. For example H and I, K and L, M and N and O and P were all indicated by the movement of just one needle either left or right. Unfortunately the alphabetic restriction remained with the letters C, J, Q, U, X and Z being omitted. Wheatstone and Cooke continued to develop their electrical telegraph producing new models that used less and less needles. Whilst each of these developments reduced the number of wires required, they moved away from the concept of a direct reading instrument. The two needle telegraph of 1840 and single needle telegraph of 1845 all used a code (the number of times a needle moves left or right) to indicate the letter been sent. So a reduction in the complexity and cost of the wiring resulted in an increase in complexity of using the equipment. The growth of the electric telegraph into the world’s first global telecommunications network has to be attributed to the work of Samuel Morse, Alfred Vail and Leonard Gale. They together devised an electrical telegraph system that used just two conductors (or one and a common earth return) and transmitted letters and numbers using a code comprising a sequence of short or long electrical pulses. These short and long pulses soon took on their more familiar names as ‘dots’ and ‘dashes’. Samuel Finley Breese Morse was born in 1791 and started life as a painter of some note. Indeed in 1832 he was appointed Professor of painting and sculpture at the University of the City of New York. However, it is his work on the development of the electric telegraph for which he has become world famous. Morse produced his first crude telegraph instrument in 1835. He demonstrated it to Professor Gale in 1836 but it failed to work over 40 feet. On advice from Joseph Henry they were able to increase the range and in September 1837 he made his invention public. In 1837 Morse met Alfred Vail who proposed the use of a code to represent letters being sent thereby putting all of the pieces in place for the invention of the Morse telegraph and code system. Morse demonstrated his apparatus between two rooms in the Washington Capitol Building in December 1842. On 3rd March 1843 Congress passed the Telegraph Bill by 89 to 83 votes and allocated $30,000 dollars for a telegraph line from Washington to Baltimore along the Baltimore and Ohio Railroad. The first message sent using Morse’s telegraph system was “What God hath wrought” and it was transmitted on 24th May 1844. It was the Morse telegraph that truly started the telecommunications revolution and soon all telegraph systems the world over would adopt the Morse Code. A Morse Key in its simplest form is basically a single pole, single throw electrical switch. Two contacts are brought together which then allows electric current to flow. A brass arm is moved against the action of a spring to touch an electric contact. The weight of this arm and the tension of the spring combine to create the ‘feel’ of the key and this determines the ease and speed with which a key can be operated. Three examples of key design are illustrated by this collection. Firstly, some keys are fitted with two sets of contacts. When not being depressed, the brass arm rests against a rear set of contacts. Depressing the key opens the rear contacts and makes a new circuit through a front set of contacts which the arm comes to rest against. This type of key is used for what is termed closed circuit working. 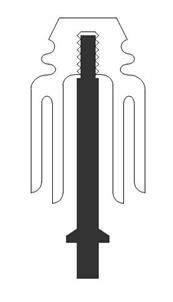 Secondly, a derivative of this design is a key that incorporates a ‘shorting’ lever. When not in use, the shorting lever is moved so as to close the key’s contacts (as though the key was permanently depressed). When the key is in use, the shorting lever is moved in the opposite direction to allow the operator to close and open the contacts my movement of the key. Finally, the third type is one that has a single set of contacts. When the key is at rest, the contacts are open and are closed only after depressing the key. This type of key would be used in systems employing ‘open circuit’ working. This is a UK military surplus key, circa 1940. It is of the closed circuit working type with a rear set of contacts that are normally closed and a front set that are normally open. Depressing the key opens the rear contacts and closes the front one. It carries the markings of the Air Ministry (a letter A and M either side of a crown) and the numbering 10F/2533, W.E.R. 1940. These heavy duty keys were manufactured around the 1960s, but this one was made in 1994 by the Factory of "Changshu Telecommunication Equipment " in Jiangshu Province, PR China. This key is for open circuit working in that a single set of contacts at the front are normally open until the key is depressed. These keys were mainly used on RAF Ground Stations and usually had a Bakelite cover over them – missing in this example. This key is for closed working with a rear set of contacts that are normally closed and a front set that are normally open. Depressing the key opens the rear contacts and closes the front one. Manufactured by Ward and Goldstone of Salford. This key is for closed working with a rear set of contacts that are normally closed and a front set that are normally open. Depressing the key opens the rear contacts and closes the front one. This key was manufactured by J.H. Bunnell & Co of New York and is of the open circuit type. A steel lever makes contact with a single brass contact when depressed. It is termed a legged key because two long screws – the “legs” - extend below the key. These are the contacts which are used to both physically attach the key to a bench and also provide the point to which electrical wires are attached. This is a legless steel lever key manufactured by J.H. Bunnell & Co. New York. It is their classic “Triumph” key and this example is stamped as having been made for the Western Union Telegraph Company. The steel lever makes contact with a tungsten contact point. 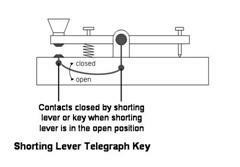 A shorting lever is moved into place to close the contacts when the key is not in used. This is a steel lever key manufactured by J.H. Bunnell & Co., New York. It incorporates a shorting lever that is moved into position to close the key contacts when it is not in use. The lever is stamped “Patented Feb 15 1881”. 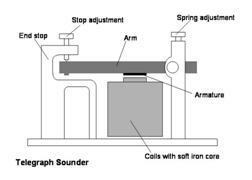 The telegraph sounder is, as its name suggests, the instrument at the end of a Morse telegraph line that makes an audible sound that enables an operator to distinguish the dots and dashes and hence, decode the message being sent. It comprises two electromagnets (coil with soft iron core) wired in series and positioned such that when electricity is passed through them, they form the equivalent of a horseshoe magnet. It is important to ensure that the coils are wired and connected correctly so that the resultant magnetic fields do not oppose each other. The magnetic field produced from these coils is then used to attract an armature which itself is attached to a heavy brass arm. When no electricity is flowing this arm is held in position by a spring and so the application of an electric current creates a magnetic field that attracts the armature and arm, moving them against the action of the spring. When the electricity supply is turned off, so the spring returns the arm to its rest position. The movement of the arm is restricted by brass end stops and it is the noise made by the arm hitting these end stops that creates the sound of the dots and dashes. In effect this moving arm mimics the movements of the sending Morse key. There are many designs of sounders but each provides a method of adjusting the tension of the spring and the relative distance between the coils and armature. It is however, important to ensure that there is always an air gap between the armature and coils so as to prevent the formation of a complete magnetic circuit otherwise; stopping the electric current may not result in immediate release of the armature because of slow demagnetisation. There are two basic types of sounder, termed main line and local. A main line sounder, as its name suggests was designed to attach directly to the live telegraph line. Passing an electric current along any transmission line will always result in losses and so main line sounders were designed to work on weaker currents and typically have a combined coil resistance of 50 to 150 ohms. A local sounder on the other hand was not connected to the live telegraph line. Instead, the telegraph line is connected to a local relay which in turn drives the local sounder from a local battery source. Now, because the connection between the local battery and sounder is short, losses are not an issue and so higher currents can be used. Hence, local sounders typically have a combined coil resistance of 4 ohms. According to the catalogue of JH Bunnell & Co., sounders wound to 4 ohms could be directly connected to lines of no more than one quarter of a mile in length whilst those wound to 20 ohms could be connected to lines of 15 miles. Anything beyond this would either require a main line sounder or a telegraph relay. Read more about why local and main sounders have a different resistance. This sounder is marked “JH Bunnell & Co, New York, USA” and is a type 15B sounder. It is of the main line variety with a resistance of 150 ohms and a typical operating current of 40mA. Adjustment of the air gap between the coils and armature is effected by a lever mechanism that moves both coils left and right on the sounder’s base. The core within the coils has a triangular cross section and the armature is also angled so that moving the coils left and right in effect moves the core closer or further away from the armature and hence, decreases or increases the air gap between them. This sounder is marked on the lever “JH Bunnell & Co, New York” and is rated at 50 ohms making it suitable for use as a main line sounder. The precise model number of this sounder is not known but it does have an unusual horizontal screw mechanism for adjusting the spring tension on the arm. Although this is a main line sounder, we normally operate it as a local sounder, driving from a relay and 3V local battery resulting in an operating current of 60mA. This sounder does not carry a manufacturer’s mark but is labelled “Postal Telcable Co” and is rated at 10ohms. We normally operate this sounder from a relay with a 1.5V local battery resulting in an operating current of 150mA. This sounder is marked “JH Bunnell & Co, New York, USA” and has an aluminium arm. It is rated at 4 ohms and should operate on a current of 250mA. The wooden base of this example is stamped “W.U. TEL Co” (Western Union Telegraph Company). When driving long telegraph lines the current required to operate a sounder would demand a corresponding prohibitively high voltage. The solution is to use a telegraph relay to drive the line at a low current and to operate a local sounder on a separate circuit at a higher current. A relay comprises two electromagnets (coils with soft iron cores) that attract a lightweight armature. This armature forms one electrical contact. When current passes through the coils, the armature is attracted, moves against the action of a spring, and touches a second electrical contact. These two contacts therefore act as a single pole switch which is closed when current passes through the coils. Typically a relay has a high resistance of 200+ ohms. The relay coils are directly connected to the telegraph line and because the armature is lightweight, only a small current (less than 20mA) is required to attract it. A separate local battery and sounder are then wired in series with the relay contacts so that when the armature moves, it closes this secondary circuit and the local sounder is operated from the local battery supply and not the main telegraph line. Adjustments are provided to modify the tension of the spring and also to control and air gap between the coils and armature. As with a sounder, it is important to ensure that there is always an air gap between the armature and coils to allow for rapid demagnetisation when the coil current stops. Two types of telegraph relay are included in this section. The American style has the coils and contacts arranged horizontally whilst the UK style has the coils and contacts arranged vertically. This relay was made by the Western Electric Company for the Western Union Telegraph Company (W.U. Tel. Co.) and is stamped Pat’d July 21 1903. It is rated at 400 ohms and provides two sets of contact points driven from a single armature. It operates effectively on a current of 16mA. This telegraph relay was manufactured by J H Bunnell & Co, New York for the Western Union Telegraph Company (W.U. Tel. Co.). It is rated at 150 ohms and operates very successfully on a current of 16mA. This style of relay is known as a Pony Relay and is not only smaller in size than conventional relays but also has a much lower resistance of 20 ohms. This example was manufactured by the Manhattan Electrical Supply Company (MESCO), USA. This UK example of a telegraph relay is a GPO Standard Type B relay. It carries the serial number GPO 14661 and it differs from the other examples in this collection in two key ways. Firstly, it is constructed with the electric coils mounted vertically and secondly, it is polarised which means that there is a permanent magnet placed around the electromagnet coils. Using a permanent magnet provides for a more sensitive relay in the sense that a lower current is needed in the coils to deflect its armature and hence, contacts. For this type of relay, two contacts are provided; Space (S) and Mark (M) with a third contact Tongue (T) which moves between then making contact either with S or M. Adjustment of these contacts is made by lifting the lid of the relay as shown and external electrical contacts are made via terminals on the base of the relay. The two coils, each of which is rated as 100 ohms, are differentially wound with the ends of each coil being labelled D and U and D circle and U circle respectively. These letters reflect a railway legacy with D representing Down and U, Up. The station nearest to London is always regarded as Up. A current flowing between U and D and an equal current from D circle to U circle will generate equal but opposite electromagnetic fields, hence no net effect results and Tongue does not move. However, a current flowing from D to U (or D circle to U circle) would result in the Tongue being deflected to make contact with S and should the current be reversed so the Tongue would be deflected in the opposite direction and make contact with M. The current flowing in one direction enhances the magnetic field provided by the permanent magnet whilst, reversing the current causes the magnetic field generated by the coils to oppose that of the permanent magnet. 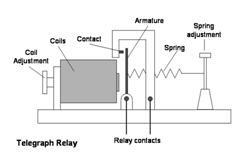 For non-polarised relays, such as JH Bunnell relay described above, the direction of the current does not alter the operation of the relay; the armature will always be attracted to the coils and hence, the contact will be made. However, for polarised relays, the direction of the current is important in determining which contacts are made. The two coils can be wired either in series or parallel. When in series, the relay operates on 20 mA whereas when they are in parallel, the relay operates on 40mA. In order to demonstrate how a telegraph system functions and to give people experience of sending and receiving Morse code signals, we have constructed a fully working system comprising two telegraph stations. These are built using a closed line, central battery, design that was common in the USA. Each telegraph set comprises a key, relay and local sounder. When not transmitting, the shorting lever on each key is placed into the closed position which keeps a voltage applied to the line. This voltage keeps the relays closed which in turn energises the local circuits and keeps the arm of the sounder hard against the lower end stop. When a message is about to be sent, the shorting lever on the sending key is opened which removes the voltage from the line and hence, both sounders release. The resulting noise made by the arm of the sounder being released and hitting the top end stop provides the cue that a message is about to start. Interestingly the same effect would be observed if the line ever failed and the so this was one advantage of the closed line system; so long as the sounder remained against the lower end stop, the telegraph line was known to be operational and intact. The two relays in use are the Western Electric Company Telegraph Relay 30-B and JH Bunnell Telegraph Relay. In total these have a resistance of 550 ohms (400ohms + 150 ohms) and are operated on a current of 16mA which equates to a central battery voltage of 9V. Telegraph set 1 contains the central battery and can be operated in isolation providing a dummy resistance of 400 ohms is connected in place of the telegraph line. 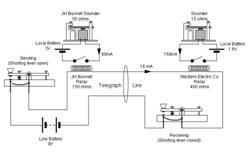 Telegraph set 1 contains the JH Bunnell Telegraph relay and uses a JH Bunnell 50 ohm sounder. Normally this would be capable of acting as a main line sounder, but in this case, it is being used as a local sounder. It has been found to work effectively on a current of 60mA which equates to a local battery of 3V. For telegraph set 2, a 10 ohm local sounder is used which operates on a current of 150mA driven from a local battery of 1.5V. All of these details are shown in the circuit diagram. This unit is built entirely from JH Bunnell items from our collection and comprises: a Triumph Key with shorting lever, a 50 ohm main line sounder (working as a local sounder) and a 150 ohm telegraph relay. This unit comprises the following items from our collection: JH Bunnell legless key with shorting lever, a 10 ohm local sounder (no manufacturer’s make) and a 400 ohm Western Electric Company telegraph relay. Creating a fully operational telegraph system requires a telegraph line to interconnect our two telegraph sets. This model has been constructed using HO/OO scale plastic telegraph poles which are linked using fine wire-wrap wire. The model is further enhanced with two Oxford Diecast 1:72 scale GPO vans which provide a point of interest and a useful reference point for determining the actual height of a telegraph pole. This distance between telegraph stations varied considerably and since in the first instance, the telegraph had a close association with the development of the railways, each railway station had its own telegraph station. Each of these telegraph stations in effect worked as an amplifier for the electrical signal. However, when the telegraph line was very long, the electrical signal arriving at the far end would be considerably reduced due to the losses in the telegraph line. Therefore, in the absence of a telegraph station, a telegraph repeater is required to boost the electrical signals and hence, increase the range of the telegraph. In its simplest form, a telegraph repeater terminates one telegraph line and then passes the received signals onto a separate telegraph line which is powered by its own battery source. Each telegraph line is terminated using a relay which drives a local sounder. However, whereas the sounder would normally simply generate audible ‘clicks’ to allow an operator to read the Morse Code, in a repeater, the sounder arm is modified to connect to an electrical switch which is connected to the next telegraph line. In this way, the sounder has in effect been turned into a relay. To explain how a telegraph repeater functions, consider the operation of the simplest type of ‘button’ repeater which is shown in diagram 1. Morse Key A (on the left) is connected to a telegraph line which comprises an earth return. Note that there would be a relay driving a local sounder at the end closest to Morse Key A but this is not shown. The line is terminated in a relay which is connected to earth via the switch shown. The relay drives a local sounder which is modified to include a switch contact that makes when the sounder is energised. This sounder switch is connected between the switch and the relay for the other telegraph line. The repeater circuit is mirrored about the switch and therefore Morse Key B (on the right) is connected in a similar way to Morse Key A. The switch can be placed in one of three positions; connecting contacts c-c, a-c or b-c. In all cases, the switch arm that moves between these contact points is connected to earth. In effect, the movement of the switch will determine which contacts (a,b,c) are connected to earth. Consider now diagram 2 in which the switch is connecting contacts c-c to earth. Tracing the circuit from either Morse Key A or B confirms that the relays which terminate the respective telegraph lines are each connected to earth via the switch. Therefore closing Morse Key A allows a current to flow to earth through the relay which in turn energisers its respective sounder. The contacts on this sounder are then closed which connects switch contact b to earth. However, with the current switch position, contact b is open circuit and therefore operation of the sounder has no effect. The same is also true in the opposite direct where operating Morse key B closes contact a to earth; again with no net effect. Therefore with the switch in the c-c position, both telegraph lines operate independently and no repeating function is being performed. Consider now diagram 3. Here it is assumed that Morse Key B (on the right) is transmitting and therefore the shorting lever on Morse Key A will be closed. The switch is in the position with contacts a-c connected; in other words, contact a is connected to earth. Now when Morse Key B is closed, the relay at the end of the telegraph line will operate because it is connected to earth via contact c. The operation of this relay therefore energises its local sounder which in turn connects its contact a to earth. The other end of the sounder contact is connected to the relay of the other telegraph line. Therefore, the relay of the Morse Key A’s telegraph line is connected to earth which allows a current to flow which in turn would drive the sounder at Morse Key A’s end (not shown). The repeater is therefore repeating signals from Morse Key B to the second telegraph line on the left. Finally, diagram 4 shows the switch connecting contacts b-c. Here it is assumed that Morse Key A is transmitting and therefore the shorting lever on Morse Key B is closed. In a similar manner to the description for diagram 3, the repeater is now repeating signals from Morse Key A to the second telegraph line on the right. The weakness of this simple design is that there is a need for an operator to change the position of the switch! Automatic repeaters were therefore developed which used additional electromagnets to replicate the action of the switch. Examples include the 1848 design by Charles S Bulkley, the 1857 Farmer and Woodman’s Repeater developed by Moses G Farmer of Salem, Massachusetts and Asa F Woodman of Portland, Maine, the 1858 design of G B Hicks and the 1859 repeater developed by James J Clark. All forms of repeater comprise a combination of relays and sounders. However, it takes time to move the armature of a relay or the arm of a sounder. When an electrical pulse is applied to the electromagnets of either a relay or a sounder, there will be small delay before the armature or arm has moved. Since these engage with further electrical contacts it means that the time that the contacts are closed is slightly shorter than the duration of the original electrical pulse. The more mechanical systems within the repeater so, the more delays will be present and hence, the net effect is that the electrical pulses arriving at telegraph line A will be repeated onto telegraph line B but they will be of a shorter duration. The repeater repeats the signal but shortens it. For the longer ‘dash’ this is generally not a problem but for the shorter ‘dot’, there could be a problem which ultimately would mean that dots would not pass through the repeater. Telegraph lines that employ repeaters do therefore require operators to ensure that their signalling is of sufficient duration and speed to ensure that received signals are not unduly affected by the delays incurred within repeaters. This JH Bunnell sounder is modified such that the sounder arm is extended to activate a set of switch contacts. The arm of the sounder is marked J.H. Bunnell & Co. New York U.S.A. It is believed that this is an example of a modified sounder that would have been used in a telegraph repeater. Shown here in its un-restored state this item is similar to the Weiny-Phillips Transmitter “sounding transmitter” illustrated on page 14 of the twenty eighth (abridged) version of their catalogue published in 1918. A pen register or ‘inker’ is an instrument that is designed to reproduce received Morse Code signals as ink marks on a moving paper tape. It comprises an electromagnet that connects to the telegraph line or local repeater in the same way as a telegraph sounder. The incoming Morse signals attract an armature which is connected to a moving inker arm. 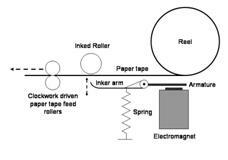 When the electromagnet attracts the armature so the inker arm moves upwards, pressing the paper tape against an inked roller. In this way a dot will generate a short ink mark and a dash a longer ink mark on the paper tape. The paper tape is wound on a reel and is driven by a clockwork mechanism and a set of feed rollers. It is also important for pen registers to have an automatic start and stop mechanism so that the paper tape starts moving when a received message begins and stops moving at the end of the message. This is an example of a JH Bunnell single pen register. It has two electromagnets with a combined coil resistance of 150 ohms and is typical of the instruments illustrated on page 18 of Bunnell’s 1918 catalogue. The example shown has undergone extensive restoration with several parts having to be made from new but these have been manufactured to be sympathetic to the original style and design. A single pen register, as its name suggests, is able to receive and print Morse Code signals received from one telegraph line. However, Bunnell did manufacture a double pen version that could receive signals from two telegraph lines. An important feature of this device is its ability to automatically start and stop at the beginning and end of a message. This is achieved by means of the mechanism shown here. When the first dot or dash of the message is received, the armature of the electromagnetic is attracted and is connected via a linkage to a moveable pin. 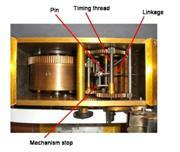 In its normal position, this pin interrupts the clockwork mechanism which is held in a stop position. However, when the armature moves, so the pin moves and releases the clockwork mechanism. A spring pulls the pin to engage it with a timing thread. As the clockwork mechanism runs, so this timing thread rotates and moves the pin back towards the clockwork mechanism stop. However, each successive dot or dash continues to move the pin away from the clockwork stop. Therefore whilst the message is being received, the pin is kept away from the stop and so the clockwork mechanism continues to run and feed the paper tape off the reel, through the feed rollers and between the inked roller and inker arm. After the last dot or dash of the message is received so the pin remains engaged in the timing thread and so moves back towards the clockwork mechanism stop. When it reaches the stop, the clockwork mechanism is stopped. 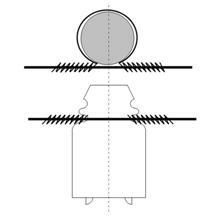 Adjustments are provided to control where on the timing thread the pin is moved to by the armature. The further along the thread, so the longer it takes for the pin to return to the clockwork stop. Several items of Bunnell telegraph equipment are contained within our telegraphy collection. Shown here is a reprint of the 28th abridged edition of the JH Bunnell catalogue published in 1918. This reprint was released in 1965 as a souvenir. It is accompanied by a 1991 publication produced by Artifax Books which comprises the above catalogue with a commentary by Tom French. In order to maintain and ensure the correct operation of a telegraph system, telegraph engineers used a range of measuring instruments. These enabled an engineer to determine the direction and magnitude of currents flowing through a circuit, the value of voltages, and the resistance of wires and instruments. These instruments could also be used for fault finding including, for example, to locate the position of a short circuit in a telegraph line. The following section describes the set of measuring instruments within our telegraph collection. The “Wheatstone Bridge” was actually invented by Samuel Hunter Christie, a British scientist and mathematician in 1833. It was improved and popularised by Charles Wheatstone – the same man who developed the earliest electrical telegraph – in 1843 and from that point became known by its now familiar name. A Wheatstone Bridge provides a means by which resistance can be measured. It comprises four resistors – three known and one unknown. The three known resistors comprise two ratio resistors which can be assigned to a limited range of values – typically 10, 100 or 1000 ohms – and a rheostat variable resistor which can be assigned values from 1 to 11,110 ohms. Each resistor is formed from smaller resistances comprising a coil of wire of fixed resistance. A series of plugs can then be inserted to either short each coil, hence eliminating its resistance, or removed to place that coil in circuit and hence, to add its resistance to the system. The unknown resistance – possiblly a telegraph line – is connected to the instrument together with an external battery and a centre reading galvanometer. A switch is placed in series with both the battery and galvanometer and operated only when these two were required in circuit. The two ratio resistors are set to a chosen value and then the rheostat variable resistor is adjusted until the galvanometer gives a zero deflection. When this is achieved, the value of the rheostat resistor is equal to the unknown resistance. This example carries the markings “APP. MFG. Co Ltd”, No. 2771. A galvanometer is an instrument for measuring electric current. An electric current is passed through coils and the resultant magnetic field deflects a magnetised needle. The amount of deflection of the needle is therefore proportional to the size of the electric current passing through the galvanometer coils. The sensitivity of a galvanometer could be controlled by the inclusion of a permanent magnet within the instrument. It should also be noted that the indicator needle visible on the scale of the galvanometer was not normally the magnetised needle; this was usually hidden within the instrument casing and connected via a spindle to the indicator needle. Galvanometers found a variety of uses within telegraphy. By far the most common was as an instrument for testing telegraph circuits however, they were also used to indicate the direction and magnitude of the current produced by the telegraph signals being sent or received. The company Edison and Swan was a joint venture company formed in 1883 between the American inventor Thomas Edison and the British inventor Joseph Swan. Both had clashed over the invention of the electric light bulb in 1878. This instrument was apparently used by telegraph linesmen for checking batteries, finding faults, and identifying and numbering wires. It comprises two coils, the Quantity (Q) coil rated at 0.2 ohms and the Intensity (I) coil rated at 160 ohms. The Q coil is used for testing batteries and the I coil for localising faults. A current of 140 mA in the Q coil should produce a needle deflection of 30 degrees and 10 mA through the I coil should cause a deflection of 50 degrees. This instrument carries the markings “Edison and Swan, No. 22386” is dated 1918 and comes with a leather carrying case. If you know more about how this instrument was used in practice do please let us know. This galvanometer is used to indicate the presence and direction of an electric current and not its magnitude. Hence, there is no scale on the instrument and instead the indicator needle is able to move to the left or right being constrained by two end stops. It has a polished mahogany case and the coil resistance is rated at 30 ohms. A current of 10 mA should be sufficient to deflect the indicator needle to an end stop. This galvanometer carries the markings “GPO 4656” on the front dial. The carrying of telegraph lines on overhead telegraph poles requires the open wire of the line (bare, non insulated conductor) to be insulated from the ground. This is achieved by attaching the line to an insulator which is then secured to the arm of the telegraph pole. However, to be effective, an insulator needs to have a high resistance, be none porous, be strong enough to support the weight of the line and not deteriorate. The material of choice that satisfied these criteria was porcelain. Other options which have seen use are glass and earthenware. An insulator is mounted on a steel spindle, the top end of which has a screw thread and the lower section has a flange and lower screw thread that is used to secure it to the telegraph pole arm. The porcelain insulator is formed from a single piece and fully glazed, both inside and out. Internally the insulator is formed as a ‘double shed’ structure. This is used to ensure that the inner shed portion remains reasonably clean and dry and therefore maintains a high resistance between the line and spindle. The outer shed is exposed to the environment and so does blacken over time. Three sizes of insulator were used by the GPO; the standard number 6 insulator for trunk lines; the medium number 8 for 70lb lines and the small number 11 for 40lb lines. Insulators are also differentiated by the number of groves that they have at their top. Insulators that supported the line along its length had a single grove whereas those that were used to terminate a line, or where the line needed to undergo a sharp change in angle, had two groves. Lines are attached to an insulator by using a binder wire. This is a short piece of wire (or tape) that is looped around the grove of the insulator with each end then being tightly wrapped around the line. For terminating insulators that have two groves and therefore carry two lines, each is bound to an insulator grove as just described but then the two lines are electrically connected by means of another conducting wire wrapped between the two lines. A further type of end terminator insulator is the pothead insulator. The pothead insulator was invented by Colonel Sir T F Purves and J Sinnott and is used to connect a telegraph line to covered down lines that connect to the telegraph apparatus. The top of the insulator un-screws to reveal a cavity. The telegraph line is secured to the insulator’s grove using a binding wire and then a connecting wire is attached to the line and passed through a hole in the insulator into the cavity. Within the cavity a connector is used to attach the line to the covered down wire. The down wire then emerges from the inner of the insulator through a vertical hole. Resin is then inserted into the cavity to protect the connections and the top of the insulator is replaced. There were many companies who produced insulators however, those featured in this section are predominantly made by two manufacturers – George Wade & Son Limited and Bullers Limited. There is however, one example made by Jobson Brothers. George Wade & Son Limited was a family run business founded in 1810 at Burslem, Stoke-on-Trent. In response to the demand for porcelain insulators, Wade (Ireland) Limited was formed in Northern Ireland in 1947. Products manufactured by the Wade company can be identified by their distinctive logo showing a right hand with an owl. This logo was used at their Manchester Potteries for items made for the industrial market. Bullers Limited was established at Hanley, Stoke-on-Trent, in 1892. Their logo is based around a hand holding an electrical insulator that has sparks of electricity emerging from the top to signify that it is live but also safe to handle. Either side of the insulator is often printed the date; two numbers on each side. At the bottom is the lettering “Made in England” or simply “Bullers Limited”. This Cordeaux type porcelain insulator has two groves, measures 2.5” in diameter and is marked G.P.O with the Wade logo beneath and the letter code E below that (see picture). Shown here is a pair of pothead porcelain insulators. When the top is removed the cavity is clearly visible. So too are the vertical holes used to feed the down wires into the cavity for attachment to the line via connectors. The line would enter the cavity through a small hole in the side of the insulator. These examples measure 3” in diameter. The one on the left carries the letters G.P.O followed by the Wade logo with the number 6 to its right and the letter W below it (see enlarged picture). The one on the right carries the letters G.P.O. followed by the Wade logo and the letter H below it. This single grove porcelain insulator was made for the London and North Eastern Railway (marked LNER) and carries the letter code NR on the very top. It measures 3” in diameter but does not carry a manufacturer’s mark. This double grove porcelain insulator is stamped LMS (London, Midland and Scottish) Railway. It carries no manufacturer’s mark and is 3” in diameter. This example of a single grove Cordeaux type insulator was manufactured by Jobson Brothers, Dudley England. Unfortunately no information has been found about Jobson Brothers. The insulator is 3” in diameter. This example of a double grove Cordeaux type porcelain insulator is seen attached to a swan neck spindle. This style of spindle would be used to attach insulators to the side of buildings or poles. The Bullers Limited logo is visible on the top of the insulator but it is badly worn. However, the ‘electric sparks’ on the top of the Buller’s logo and the ‘Made in England’ lettering can still be seen. The central part of the logo is very faint but the number ‘8’ (last number of the date) to the right is visible. It measures 3” in diameter. This example of a double grove Cordeaux type insulator is made from earthenware hence, its characteristic brown colour. It is stamped “G.P.O.” on the top and measures 2.5 inches in diameter. This example of the Pothead porcelain insulator has a black top which is made from a composite. It carries the markings G.P.O. and the Wade logo on the insulator. In the centre of the lid are the letters “LE”, “G.P.O.” and “47” above one another. To the left of the Wade logo is the number 1 and to the right, the number 6. It measures 3” in diameter. This insulator is also shown attached to a spindle that would have been used to secure the insulator to the cross arm of a telegraph pole. This Varley type number 8 porcelain insulator was manufactured by Bullers Limited. It measures 3” in diameter and carries an earlier form of their logo which neither carried the date nor the Made in England lettering. This one simply has “Bullers Limited” under their standard electrical insulator symbol. The development of the electrical telegraph by Charles Wheatstone and William Cooke in UK and Samuel Morse in the USA, created a new means of sending messages. Early telegraph systems were first introduced on the fledging railways that not only allowed people to travel between towns but also provided for the first time, a direct communications link between towns. In the UK the Board of the Great Western Railway, at its meeting on 10th January 1843, approved an agreement with William Cooke to provide a telegraphic service along its new line from London Paddington to Bristol. On the 16th May 1843, the service was made available to the general public. The charge to send a message was one shilling and there was no limit on the number of words sent. At each of the main stations along the line, skilled telegraph operators sent and decoded the messages and then ‘messenger boys’ were employed to take these messages and deliver them by hand to local addresses. In 1845, The Electric Telegraph Company was formed with a view to buying the patent rights from Cooke in order to take over the running of telegraphic services. Then in 1846, The Electric Telegraph Company obtained an Act of Parliament to raise capital to finance the development of a national network which included permission to lay wire over public property, especially railways. By 1847 a line connected London to Birmingham and on 14th November 1847 it was extended north to reach Manchester taking their total network to 1,000 miles of cable. This had increased to over 10,000 miles of network by 1868 at which point the Disraeli government introduced the Telegraph Bill to “enable the Postmaster General to acquire, maintain and work the Electric Telegraph in the United Kingdom” (a situation that was to remain unchanged until the Telecommunications Act of 1981). The Telegraph Bill of 1868 in effect ended what was now called The Electric and International Telegraph Company and it ceased trading in 1870. Transmission of messages over the telegraphic network had become a significant business growing from 99,000 messages in 1851 to over 3.7 million in 1868. In the USA, commercial telegraphic messages were introduced in 1851 with the formation of The New York and Mississippi Valley Printing Telegraph Company. Five years later it changed its name to Western Union to mark the linking of western and eastern telegraph networks into one system. A new word was required to describe these telegraphic messages and whilst, some suggested “telegrapheme”, it was the Americans who coined the now more familiar “telegram” in 1852. The first line of a telegram is called the ‘check’ and includes a set of abbreviations that indicate the number of words, where it came from, and the class of service. The name and address of the recipient follows the check and thereafter the actual message which was hand written by the telegraph operator. Telegrams were placed in envelopes and hand delivered to the recipient by telegram messenger. The invention of the teletypewriter in 1914 allowed messages to be decoded and automatically printed onto paper tape. This tape was then cut up into sections and pasted on the blank telegram forms. Later developments would allow the direct printing of messages onto telegram forms. Telegrams were also widely adopted by the media. The first press telegram sent in the USA was transmitted on 25th May 1844 and reported on a vote in the House of Congress. In New York, the Daily Sun reported that “This is indeed the annihilation of space.” In the UK, the birth of Queen Victoria’s son, Prince Alfred, at Windsor Castle was also communicated by telegraph message to the offices of The Times. In 1913, 82 million telegrams were sent within the UK and on 24th July 1935 the General Post Office (GPO) introduced the Greetings Telegram. The first one was designed by Rex Whistler and launched by Sir Kinglsey Wood. For an extra three pence the special message was delivered on decorative paper and enclosed within a gold coloured envelope. In 1936, the GPO launched the Valentine’s Day telegram and 50,000 were sent. By 1939 over 50 million telegrams were being sent in the UK. In 1981 the telegram service transferred to British Telecom who replaced it with the Telemessage service in 1982. Whilst it offered the usual features of the telegram, messages were no longer hand delivered when they arrived but simply put in the post with next day delivery. A new computerised telegram system was introduced in 1991 and in 2003, TelegramsOnline took over the whole of the UK telegram service from BT. In January 2006, Western Union announced that it had sent its last telegram ending 150 years of continuous service. This example comes complete with its original envelope. Received at the Western Union office at 108 South Indiana St., Warsaw, Ind. An example of the GPO Greetings Telegram printed on decorative paper and delivered in a gold coloured envelope. This is a George VI vintage and is wishing congratulations on an anniversary. This example was sent on 9th October 1935. It comes complete with its original envelope which also carries the decorative Birthday Greetings banner. This example was sent on 12th July 1938 from Rome to Cardiff. Oregon Short Line Railroad Co.
An example sent on 6th October 1917. This advert proclaims that you can send a twenty word telegram to Canada and the USA for 7 shillings and 4 pence. Messages to Alaska cost 12 shillings and 10 pence. 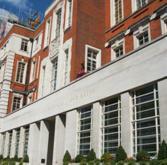 The Society of Telegraph Engineers was formed in the UK in 1871. By 1870 over 2000 men and 500 women were employed by the telegraph companies in the UK, but it was felt that their Profession was not adequately catered for by other bodies. The Society of Telegraph Engineers formally came into being on 17th May 1871. This Society evolved into the Institution of Electrical Engineers (IEE) in 1889 and the Institution of Engineering and Technology in 2006 when it boasted over 150,000 members worldwide. Many of the staff involved in the Salford Phones Project are proud to be Members and Fellows of the IET. A telecommunications revolution had begun. Within the UK there were 1300 telegraph stations communicating over 10,000 miles of telegraph line in 1868 but only four years later this had grown to 5,179 stations and over 87,000 miles of line. The electric telegraph was set to become ‘The Victorian Internet’. And just like today’s internet, the telegraph impacted all aspects of life. In 1868 the Disraeli government introduced the Telegraph Bill to “enable the Postmaster General to acquire, maintain and work the Electric Telegraph in the United Kingdom”. This remained the case until the Telecommunications Act of 1981. A telegraph line was laid under the English Channel in 1850 and the first trans-Atlantic telegraph cable was installed in 1858. Despite its short life, just one month, the trans-Atlantic cable had demonstrated the power of electrical communications and a permanent connection was finally established between the ‘old’ and ‘new’ worlds in 1866. The electrical telegraph had demonstrated to the world the importance and potential of using electricity to send information around the globe. The world would be forever changed and the electric telegraph was simply the first in a long line of engineering achievements and developments that have today given us the world-wide-web, broadband and the mobile phone.